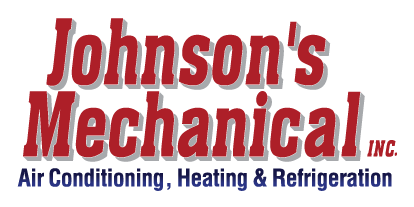 About Johnson’s Mechanical Inc., Lakeland | Johnson's Mechanical Inc. About Johnson’s Mechanical Inc., Lakeland | Johnson's Mechanical Inc.
We have been providing quality and professional services to our customers since 1982. If you are like most people, you may not be very familiar with HVAC and refrigeration systems, even though you might use them every day. Fortunately, you have Johnson’s Mechanical Inc. to assist you. As a family owned and operated business, we take great pride in our honesty and integrity, and none of our technicians receive commission. Repair recommendations will only be made with your best interest in mind. We strongly believe that you will notice a positive difference when you turn to us. We are a state certified HVAC and refrigeration contractor that serves homes and businesses throughout Lakeland, Florida and surrounding areas. We are also fully insured and licensed and have been providing professional and quality service to our clients since 1982. We are confident that we can meet all of your HVAC and refrigeration maintenance, repair, and installation needs because we service all makes and models. Some of the equipment that we commonly work with includes kitchen hood and ventilation systems, chilled water systems, commercial ice machines, wine coolers, heating and cooling systems, reach-in or walk-in freezers, and more. We realize that in some cases, a situation will arise where you need to have your HVAC or refrigeration system repaired right away. To give you greater peace of mind, we offer 24/7 emergency service and will always be there for you when you need us most. For more information about our services, our commitment to quality, or why you should work with us, please reach out to us at Johnson’s Mechanical Inc. today. We are eager to earn your business and look forward to exceeding your expectations.